So, I have created the garland with some simple items and my printer. 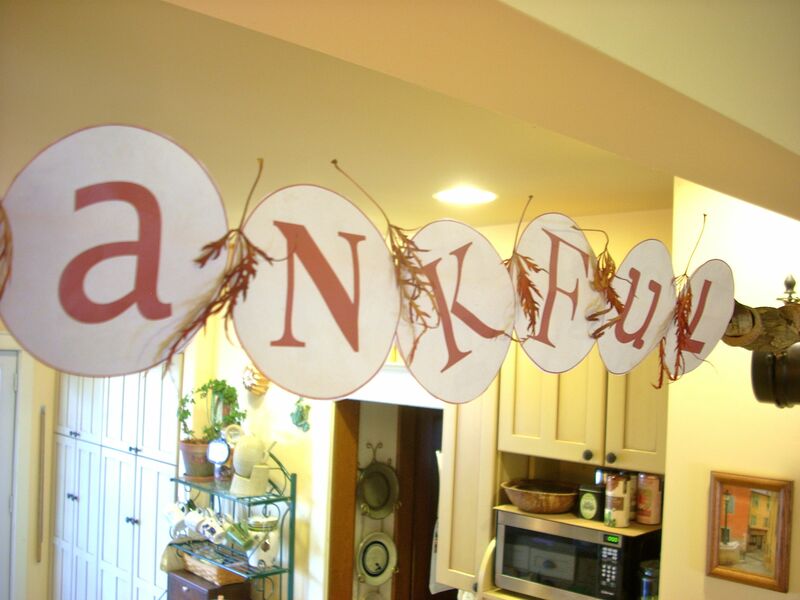 I printed out the letters that will form the words, “be Thankful” and put them into circles that I am going to cut out and string together to create the garland. To add interest, my letters are all in different fonts but all about the same size to fit within the circles. I also chose a fall color of brown and a beige. I know that I have yarn or a string to thread them on and will probably have to drill holes in the wood pieces and the acorns. When Herb and I went for a hike in the Shenandoah National Park on Sunday, I gathered some acorns and sticks and brought those home. 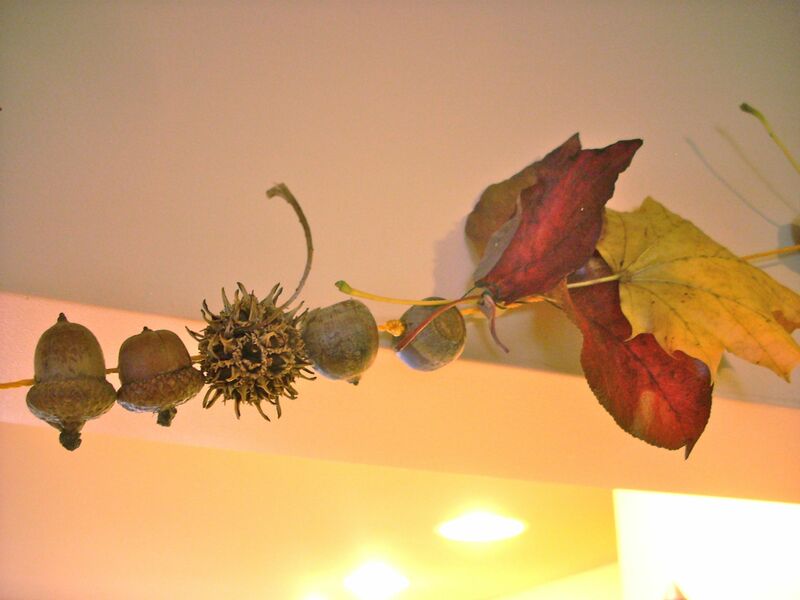 And at my workplace there are sweet gum trees that litter our parking lot with these natural spiney balls that will work great to string together with the acorns and I will gather some of the colorful leaves that are still available from the yard and string all this together to form my garland to hang on the rafter above the bar in the kitchen. 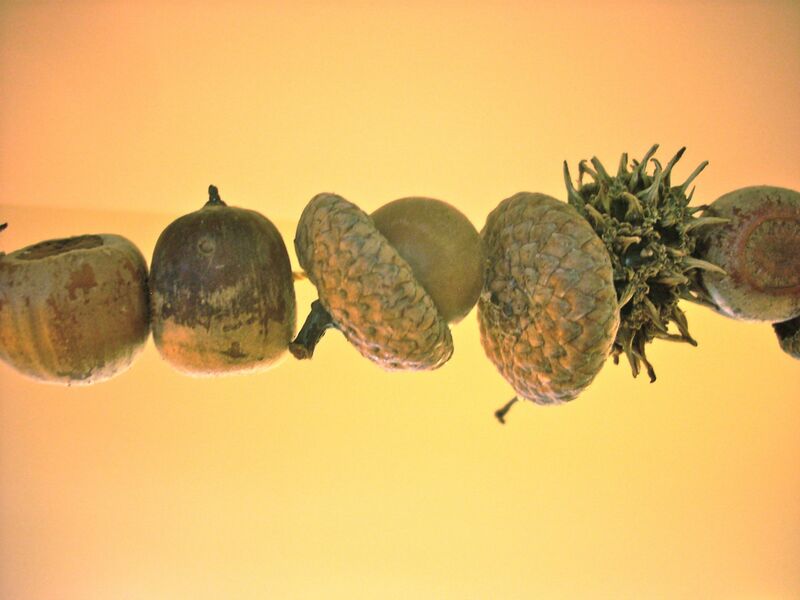 A drill to put the holes in the acorns, acorn tops, pieces of wood and sweet gum balls. 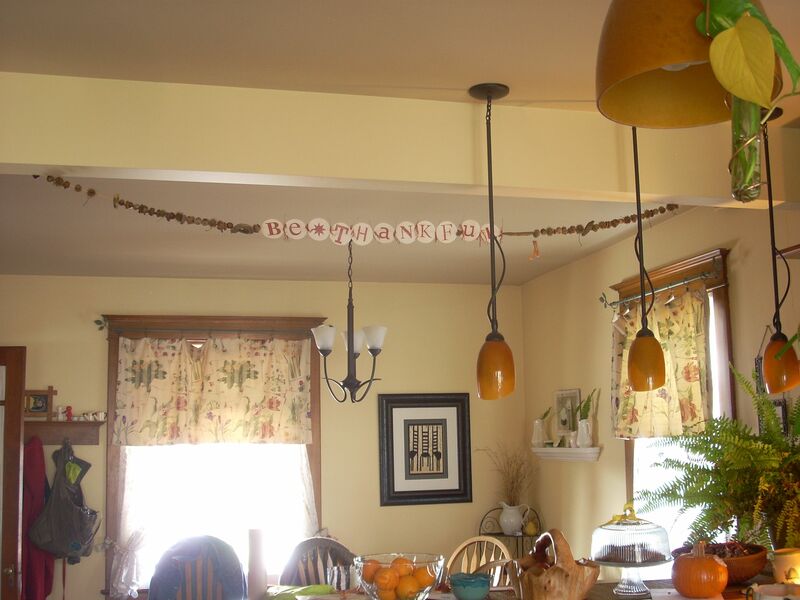 I had made two copies of my letters so that my garland can read from either side. I cut out all the letters and laid them out so that I had the letters in the correct order The “L” was on the back of the “B” etc. and cut the string to length and found the center of it. Then I used a glue stick to put the letters on the string. 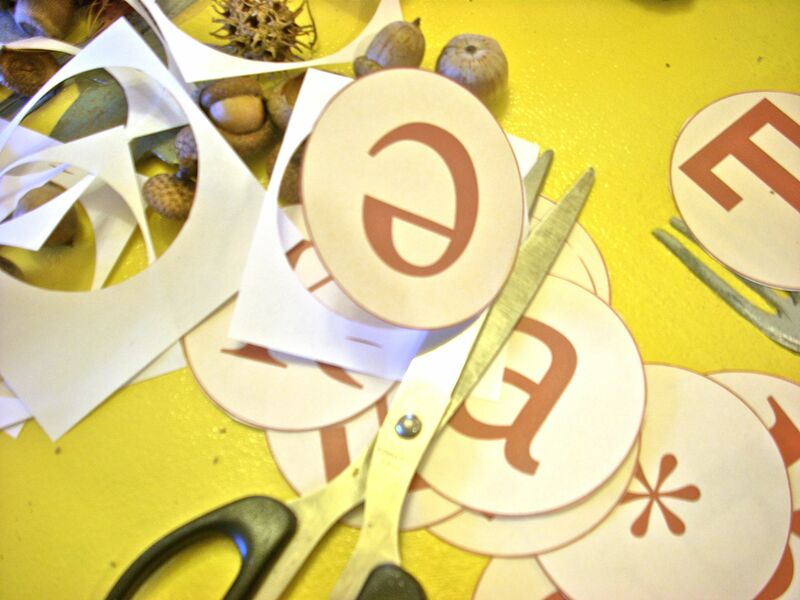 I glued the top and bottom , leaving the middle of the letter glue free so that it would slide on the string. That way I could position it if I needed to later. 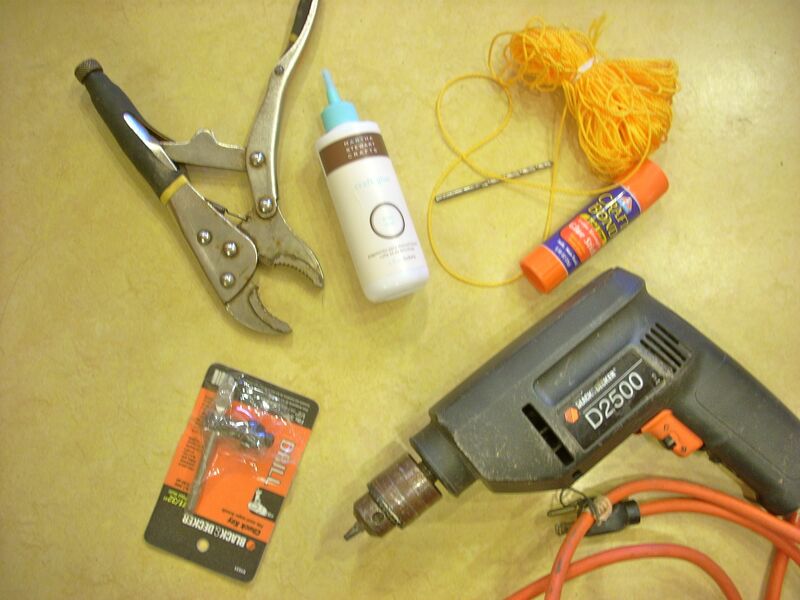 Use the drill to drill the holes in your items. I put a piece of wood under the nuts so that I didn’t make a hole in my table. Then you just string them onto the string and hang it from nails on the wall or in my case from the rafter between the kitchen and dining area of my house. 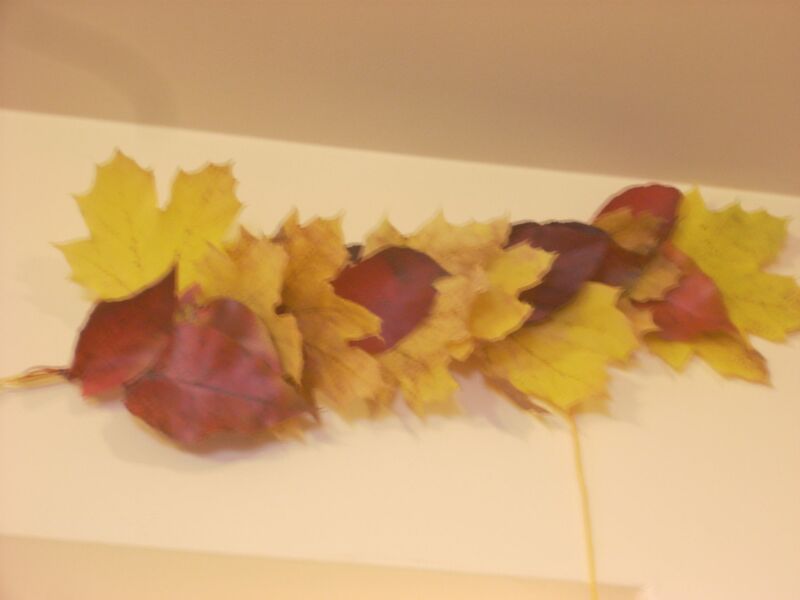 I also went out and got some fall leaves that still had some color in them and put those on either end of my garland to hide the nails and to add some color. Then I strung the natural items on either end making it balanced with knots to spread out the items. 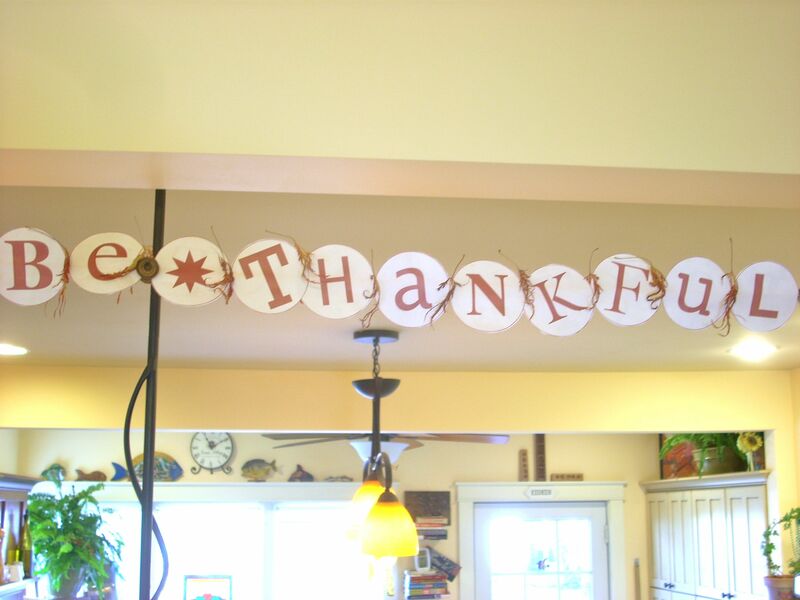 And from the back of the garland on the kitchen side. 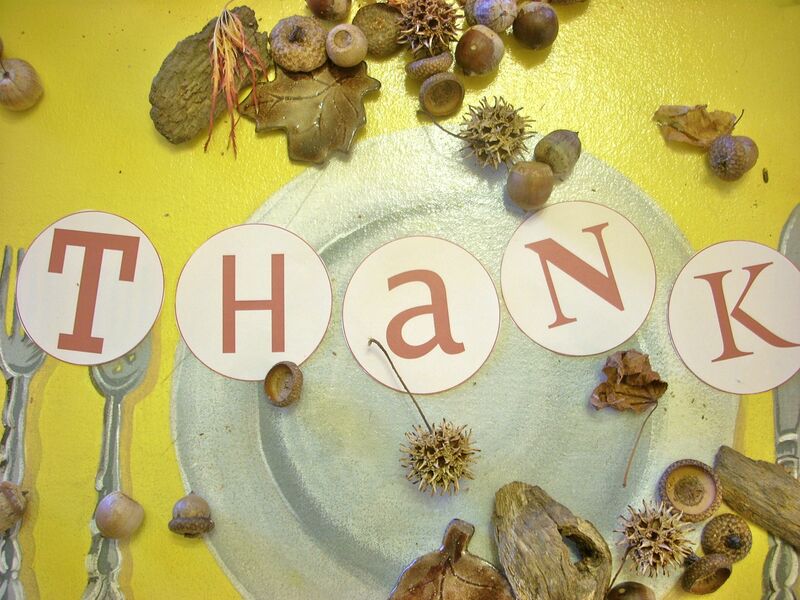 So, if you have time to take a walk this afternoon, pick up some “treasures” and turn them into a natural decoration for your house tomorrow before the rain comes and use it as a gentle reminder of the simple things that make us thankful to be here. 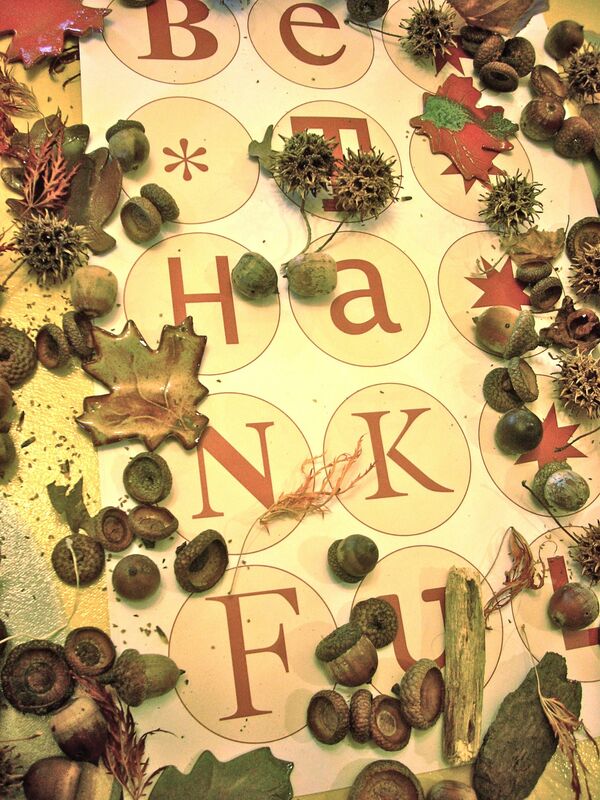 Susie Morgan Wilburn • This entry was posted in ...in the Garden, Family, Green Ideas, Holidays, I have too many hobbies, recycle It, Thanksgiving and tagged Acorn, Arts, Craft, fall decorations, printer, Shenandoah National Park, Thanksgiving, trees. Bookmark the permalink.